One of the biggest events of the last console generation is finally striding onto more powerful formats! GTA V finally makes its next-gen debut. With GTA IV having taken place in a decidedly east coast sort of setting in Liberty City, this game takes things over to the west coast. The action takes place in Los Santos and the surrounding countryside of San Andreas. Los Santos has seen better days. A sprawling metropolis full of faded stars, self-help gurus and desperate celebrities, the city has declined somewhat in the face economic uncertainty and cheap reality TV. In need of a big score are Franklin, a former street-level gangster; Michael, an ex-con living the high life in witness protection and Trevor, who's a bit on the sociopathic side. 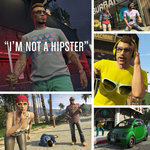 These are the three characters through whose eyes you'll see Los Santos. Of course, you'll do a lot more than looking around. 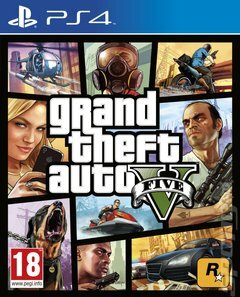 The game is centred around six big heists, with plenty of driving, shoot-outs and other assorted missions to get stuck into in between. The open world map is huge, with hours upon hours of content on offer. If you should happen to get through it all, however, there's a whole other side to the game. GTA V also gets you access to GTA Online, a sprawling persistent world for you and up to 15 other players to play in either cooperatively or against each other in traditional competitive modes. With the next-gen version, players get the advantage of higher levels of detail than have ever been seen in GTA before, with better draw distances, finer texture detail and denser traffic to make the city seem more vibrant than ever.